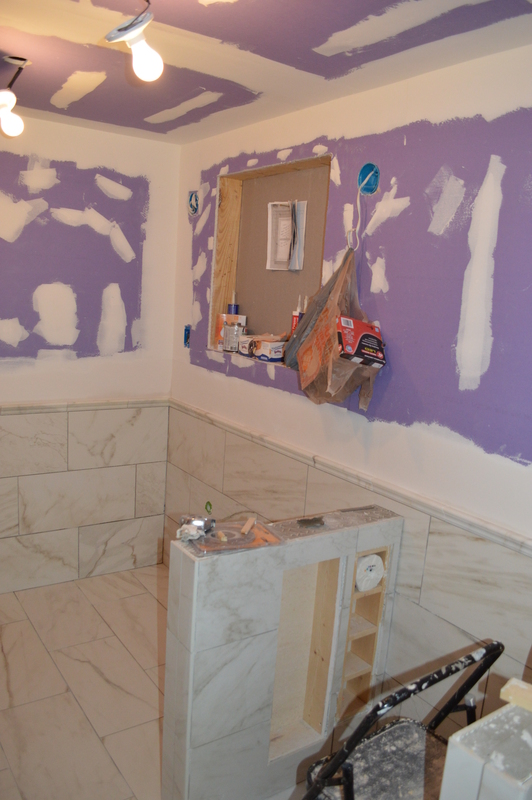 We have more progress to share with our renovations! 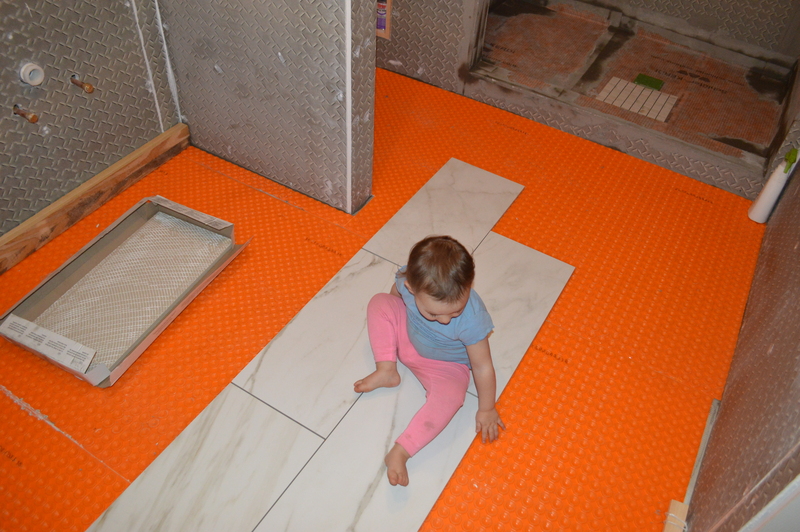 Below are some pictures of our little helper trying out the floor tiles that are laid on the heated floor subfloor. The verdict: she likes em! Good thing, because we got a lot of those tiles. 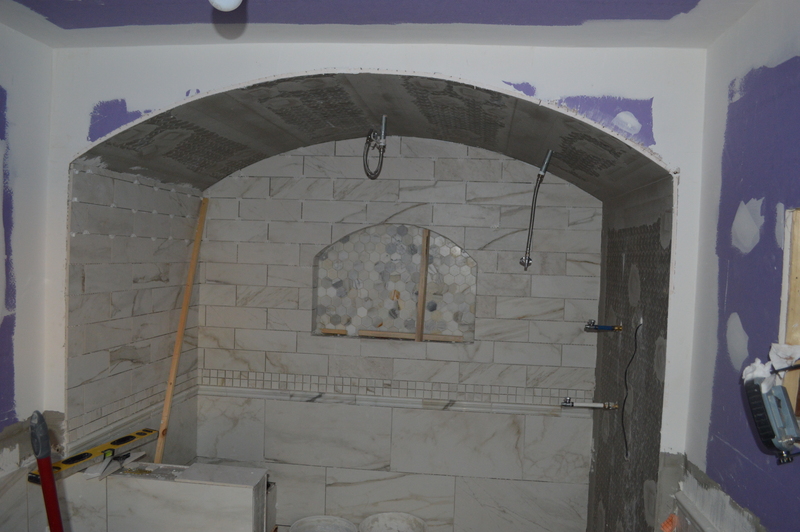 We ordered from Sarisand Tile in Charlottesville and were really impressed with the customer service and prices– I highly recommend them (and no, they’re not paying me to say that! Haha). 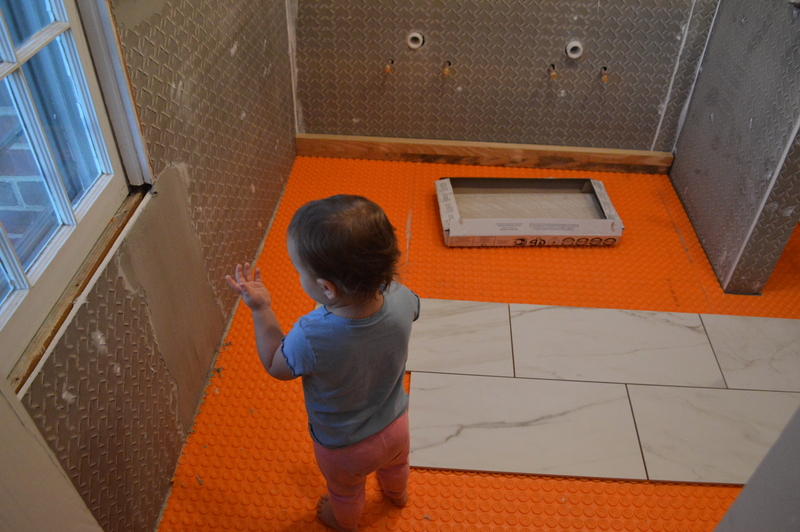 We used the same tile on the floor as we did on the bottom half of the walls. 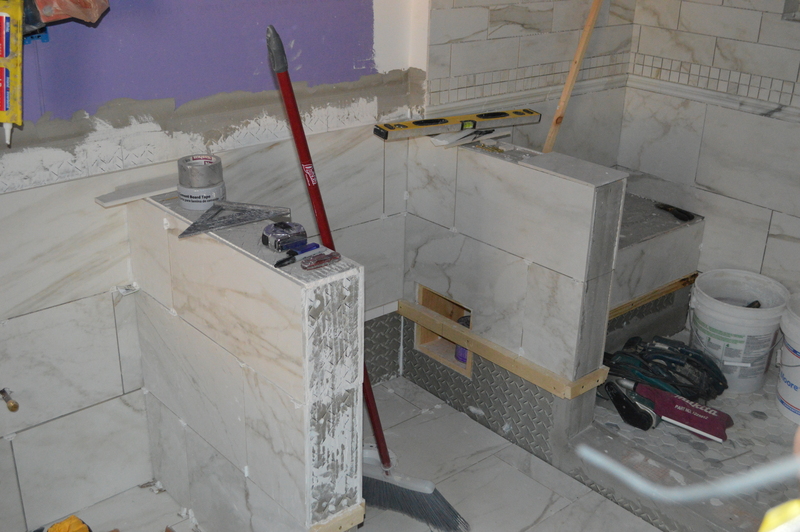 It looks a lot like marble but it’s actually faux Calacatta Gold marble. Apparently each of the tiles are printed by a printer but each piece is unique. 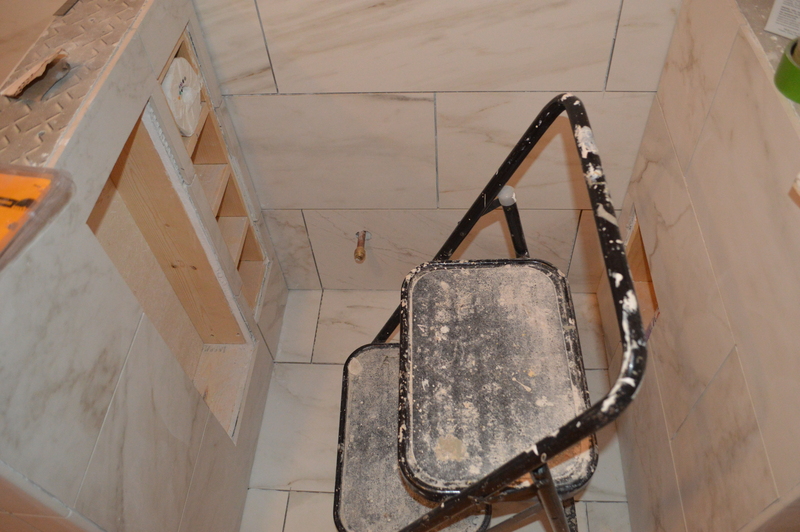 Above the faux big marble tiles we installed a real marble chair rail. You can’t even tell the stuff below it is fake when they’re touching each other! 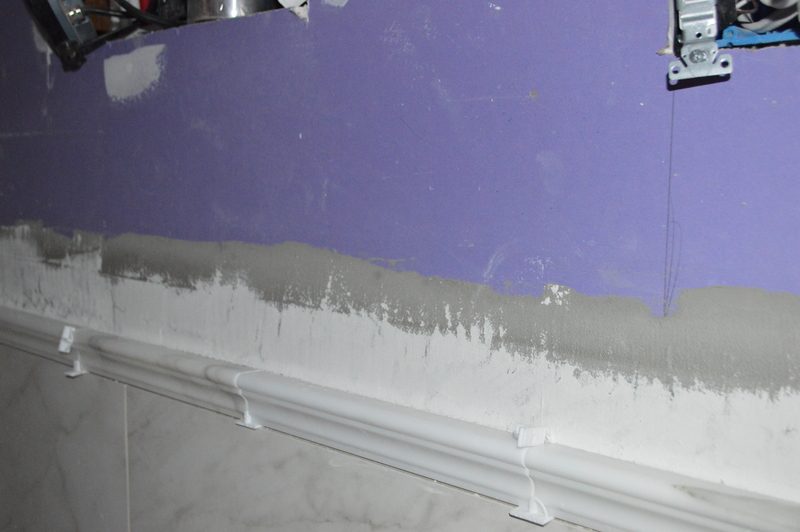 Below is the little shelf in the shower. 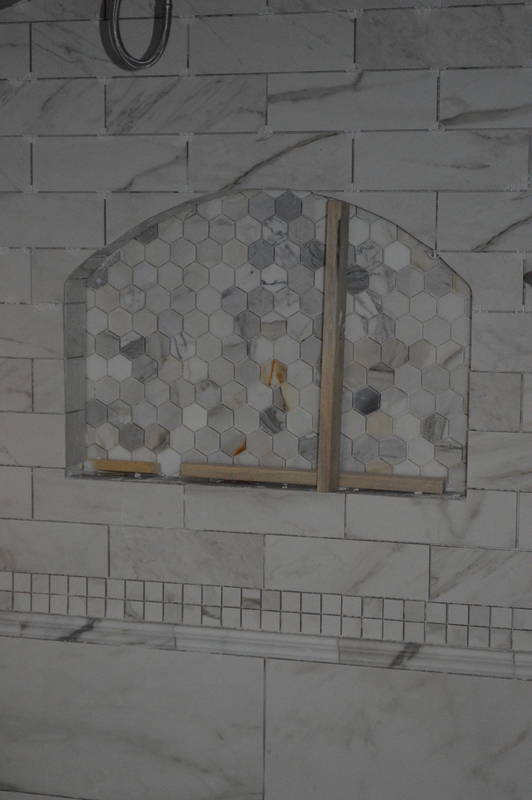 The hexagon tiles in the back are real marble; everything else surrounding it is fake. 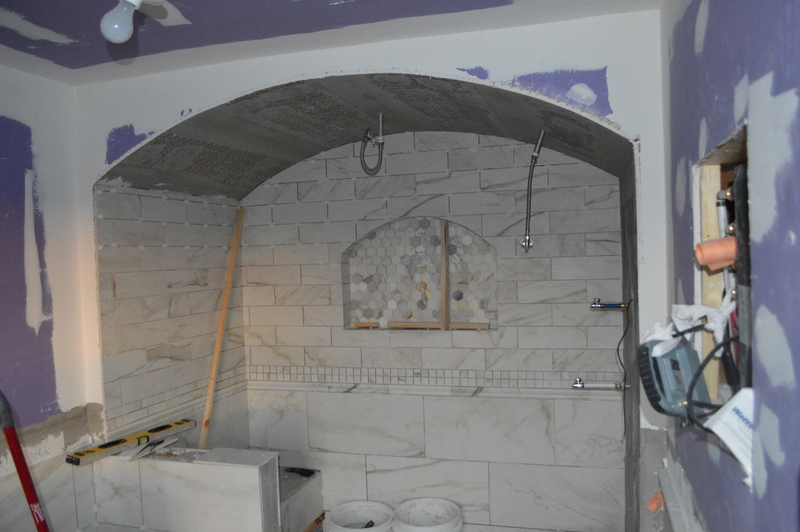 Here’s a picture of the shower from a far back view so you can see the whole thing. I’m impressed with how the arch was able to come together; you can totally see in this picture how it’s going to end up looking! 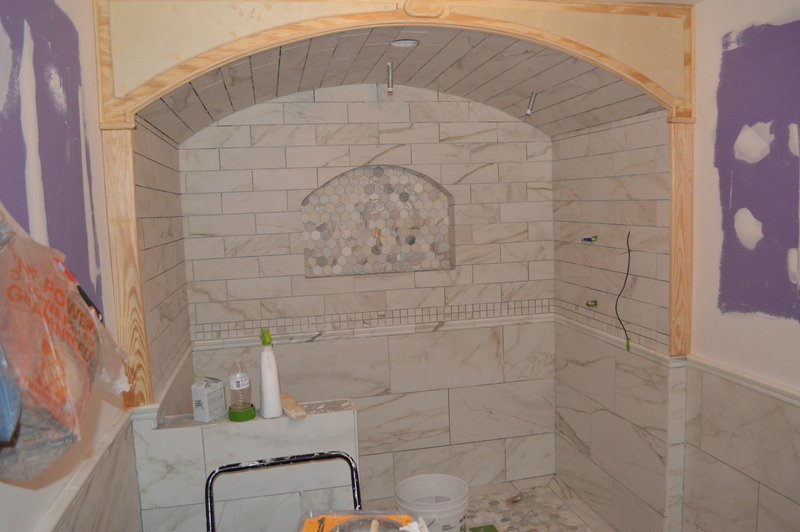 Below you can see the trim around the shower and all the finished tilework! You can also see the shower floor is the same hexagon as the back of the shelf nook thing. 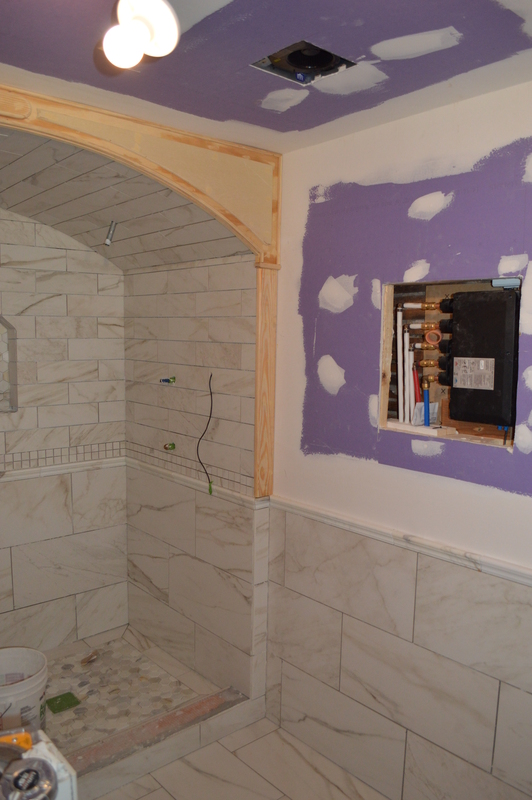 Final picture: check out the intense electrical/ plumbing panel in the wall. I’m not sure how but it’ll be used to connect the dots somehow. Anyway, it’s soooo close to being done!! I’ll share more progress later, promise! Oh Wow! It looks great! Stunning bathroom !!!! You have peaked my interest in those wall tiles that look just like marble, but aren’t.! How clever you are ! 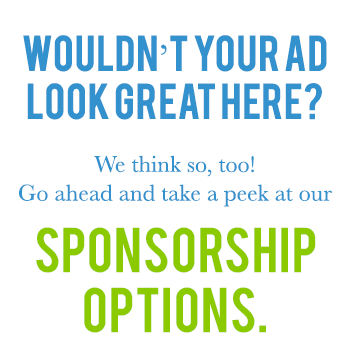 Keep up the terrific work.